Wild Watermelon pods, for the Kwit Stick, offer an incredibly smooth and refreshing vaping experience. 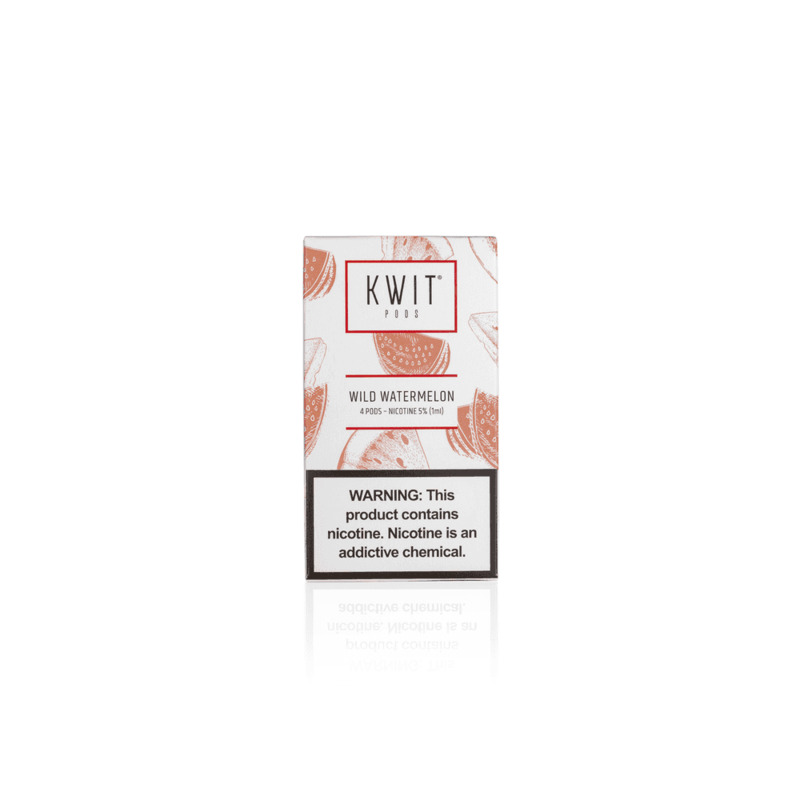 Kwit Wild Watermelon pods are bursting with the unmistakable crispness and juiciness of America's favorite summertime fruit blended with an ultra-smooth nicotine salt formulation. Kwit pods come as a four pack of 1ml, 50mg (5.0%) nicotine salt pods. Nicotine salts make for an incredibly smooth vaping experience, allowing for flavors to come through without the harshness of traditional nicotine. Plus, once you're done with a Kwit pod, it can be refilled, saving you time and money!